Technically, driving under the influence of alcohol or drugs is a motor vehicle violation, not a criminal offense, in New Jersey. 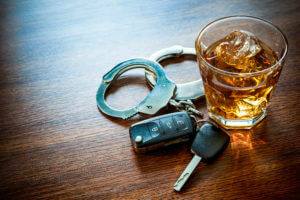 Although one might associate a traffic infraction with a minor event, minimal penalties, and a quick court appearance, this is far from true when the offense in question is driving while intoxicated (DWI) or driving under the influence of drugs (DUI). In fact, New Jersey has distinct requirements for DWI proceedings and imposes harsh penalties upon those convicted of DWI offenses. For example, a conviction for a first offense DWI may result in loss of your driving privileges for between 3 and 7 months, while a conviction for a third offense DWI requires a mandatory driver’s license suspension for 10 years. The State imposes strict sentencing guidelines in DWI cases, disallowing prosecutorial or judicial discretion in the imposition of these sentences. In other words, there is no room to negotiate a DWI sentence. Thus, the stakes are infinitely higher in a New Jersey DWI case. You can also click here to read about DUI Penalties in New Jersey. If you or someone you love has been charged with DWI or DUI, it is crucial to begin building your defense strategy as soon as possible. Mr. Fay represents clients in Southern New Jersey. Contact our firm at 609-832-3202 for additional information and a cost-free consultation.